Poland can increase its share of renewable energy in power generation to nearly 38 per cent by 2030 (compared to only 7 per cent in 2010). REmap 2030: Renewable Energy Prospects for Poland, prepared by the International Renewable Energy Agency (Irena) with input from the Polish Ministry of Economy, also finds the share of renewable energy in total final energy consumption can more than double, to nearly 25 per cent by 2030. The analysis of the country’s renewable energy prospects comes as part of REmap 2030, Irena’s roadmap for doubling the share of renewables in the global energy mix. Under current policies, the share of renewables in Poland’s total final energy consumption would increase to just 15.5 per cent by 2030. This could feasibly reach 25 per cent if investments in renewable energy doubled to $4.5 billion annually, REmap analysis indicates. The envisaged energy transformation would reduce Poland’s carbon dioxide emissions and could save up to $2 billion per year by 2030 when taking into account externalities related to health and environmental costs. Poland’s renewable energy use to date has been dominated by biomass. To achieve higher shares, the country must tap its vast wind power resources, improve its power transmissions and scale-up grid development, the background paper finds. However, opportunities to scale up renewables are not limited to the power sector; the renewable share of energy applications in buildings could nearly triple, to almost 35 per cent, while the industry and transport sectors could see their shares double. In 2010, renewable energy use in Poland was dominated by biomass in end-use sectors (industry, residential, commercial, services, agriculture, transport) and in power and district heat generation. A range of biomass applications accounted for 90 per cent of total final renewable energy use of 284 petajoules (PJ) in 2010. Biomass demand for space/water heating in buildings and for process heat generation in industry represented three quarters of the total. Renewable electricity from hydropower and wind accounted for the remaining 10 per cent of total final renewable energy use. Poland has prepared a detailed projection in 2020 of its renewable energy use and total final energy consumption (TFEC) – the metric used in the rest of this analysis. This forms part of its National Renewable Energy Action Plan (NREAP). A number of other studies prepared for the Ministry of Economy of Poland also provide forecasts for 2030 and 2050. These assessments are the basis for the business-as-usual scenario for 2010-2030 (referred to as the ‘Reference Case’ in this study). 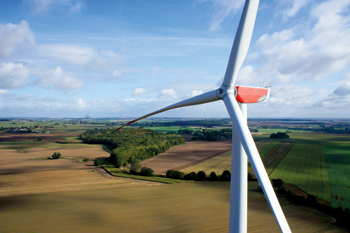 The Reference Case takes Poland’s renewable energy share in its TFEC to 14.2 per cent by 2020. This is equivalent to 15 per cent if the absolute volumes were expressed in gross final energy consumption (GFEC), the metric applied consistently by all the other European Union (EU) member states. The Reference Case shows that by 2030, the renewable energy share of TFEC reaches 15.5 per cent while its share of GFEC reaches 16.4 per cent. This is based on estimates of TFEC development to 2020 and 2030 by the International Renewable Energy Agency (Irena). In 2010, the base year of this analysis, the renewable energy share was 10.1 per cent in TFEC. Total final renewable energy use more than doubles in the Reference Case from 284 PJ in 2010 to 531 PJ in 2030. Total final renewable energy use includes the consumption of power and district heat from renewable energy sources, renewable transport fuels and renewable fuels for cooking as well as water, space and process heating. The Reference Case renewable energy use continues to be dominated by biomass. In addition, a significant growth for wind is also envisaged, taking total installed capacity from 0.8 gigawatts (GW) in 2010 to 7.5 GW in 2030. Solar photovoltaic (PV) rises to 2.7 GW (including rooftop PV amounting to 0.3 GW). REmap 2030 takes the total renewable energy use share to 24.7 per cent of TFEC by 2030. This is equivalent to a 25.9 per cent renewable energy share of GFEC. In REmap 2030, the renewable energy share is estimated to be highest in the building (residential and commercial) sector. It triples from its 2010 level to 34.8 per cent in 2030. By contrast, the renewable energy shares of some other end-use sectors double in the same period. For instance, industry increases to 23.6 per cent and transport to 12.4 per cent. REmap 2030 assumes a mix of renewable energy technologies is deployed in both power and endues sectors. The renewable energy share of power generation is estimated to reach 37.7 per cent in 2030 compared to 7 per cent in 2010. Onshore and offshore wind capacities attain 16.4 GW, solar PV rises to 5 GW and bioenergy reaches 5.2 GW.